Looking for a great gift idea for this Spring season? 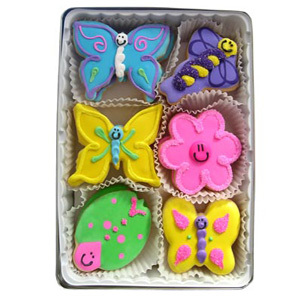 Try this amazing gift box of gourmet sugar cookies decorated as smiling butterflies, flowers, dragonflies, and ladybugs. The perfect gift idea for birthdays, office or business gifts, or family and friends. Warm up this Spring with a tin of these amazing and delicious cookies!